Quickfire casino games portfolio getting plumper in 2018. As the industry’s oldest and most dedicated developer of online casino gaming content, Microgaming‘s portfolio is expected to offer the largest variety in the business. More than 900 games in total—500+ within the Quickfire platform, optimized for all desktop and mobile OS—make up their vast collection. Microgaming’s agenda has for years been to deliver no less than two new digital gambling amusements each month. Following this protocol for over two decades put them in the leading position they’re in now. But for the last few years, that ‘no less than two‘ protocol became a very standard policy. Month after month, year after year, the design team churned out exactly two new games per turn of the calendar. It became monotonous, as did the repetitive themes and cookie-cutter features. But now, they’ve undertaken a new business model. It’s not only increasing the output for the Microgaming online casino suite, it’s giving players a much more versatile range of themes and features to enjoy. All Microgaming casino content was once developed in-house from the company’s headquarters in Douglas, Isle of Man. A limited number of developers were forced to deliver a minimum number of new games each month. I can only imagine the pressure this put on their overall team. A few years ago, Microgaming opened Pandora’s suggestion box, and the company’s vision took on a whole new prospective. They began signing exclusivity contracts with smaller digital games companies—companies more likely to put out closer to two games per year, than per month. But the great thing about these companies was their fresh vision. They had different ideals and concepts, original features that players could truly appreciate. Now, Microgaming has so many independent studios working for them—Triple Edge, Sling Shot, Big Time Gaming, JFTW (just to name a few)—the home crew can finally relax, taking their time developing innovative games with unique features and themes that live up to the long-standing Microgaming reputation for quality. For the last three months straight, the Microgaming online casino platform has increased by 3 games per month. In September, players were introduced to Side Winder, Wicked Tales: Dark Red, and a new European Roulette wheel. In October, the long-awaited Cash of Kingdoms Slot finally arrived, along with Romanov Riches and Lucha Legends. Now in November, another trio of online and mobile slot machines are set for release on the Quickfire casino games platform. The first, Reel Talent, is a 5×3, 20-line game from Just For The Win (JFTW). The developer lauds this title as offering the “highest frequency of big wins” in their portfolio to date. 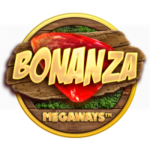 Next on the menu is the Bonanza Slot by Big Time Gaming (BGT). This one might ring a bell, because it’s not exactly a new title. However, it is new to Microgaming online casinos. BGT took one of its most popular MegaWays feature slots of all time, released in 2016, and installed it on the Quickfire platform this week. Last but not least, BGT will also be installing its highly anticipated new slot machine, Who Wants To Be A Millionaire, on the Microgaming suite later this month.